Grilled bone in Pork Rib Chops with Balsamic glazed yams. Archives - Geaux Ask Alice! 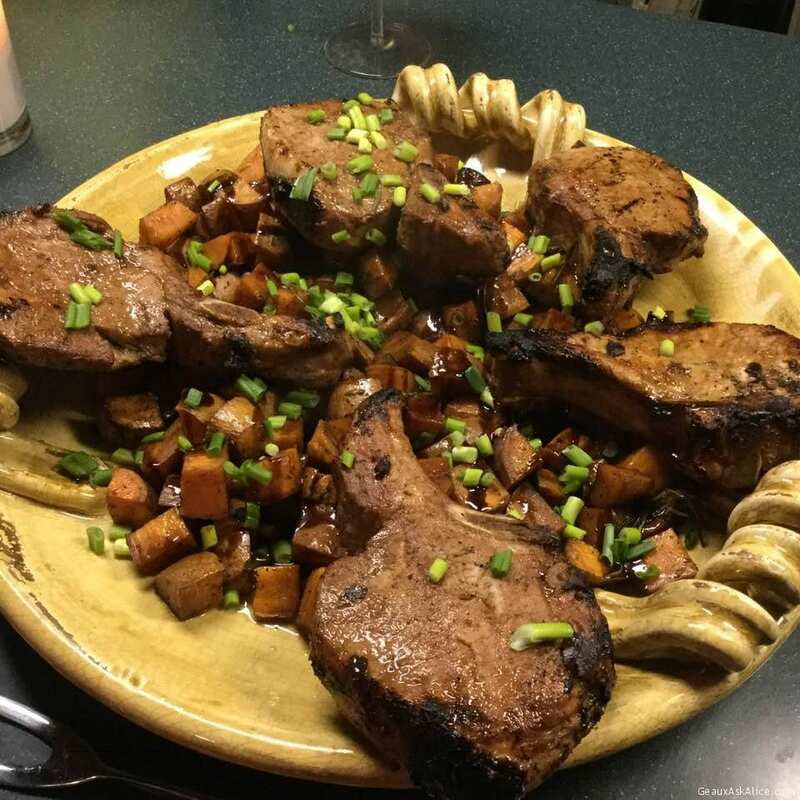 Grilled bone in Pork Rib Chops with Balsamic glazed yams.